RIGHT. Let's get this festive show on the road, shall we? I made my second annual batch of mince pie fudge last night, and now it's time to get the knitwear out of the cupboard before Save The Children's Christmas jumper day tomorrow. 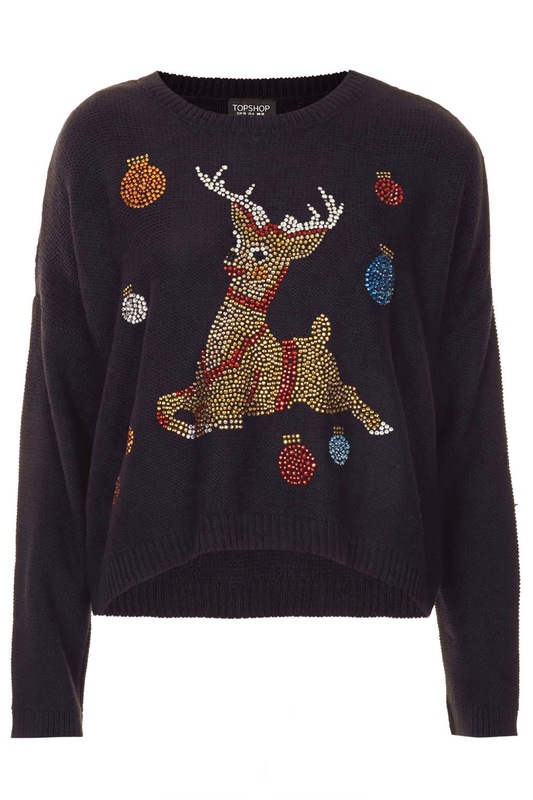 New Look has a good selection of tall Christmas jumpers - for obvious, Twitter-mad reasons, this Seasons Tweetings one is my favourite. It's £14.99. 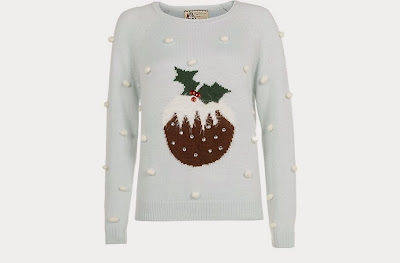 Also from New Look, this time in its regular section, is this frankly amazing pale blue Christmas pudding jumper with added polka dot snow. 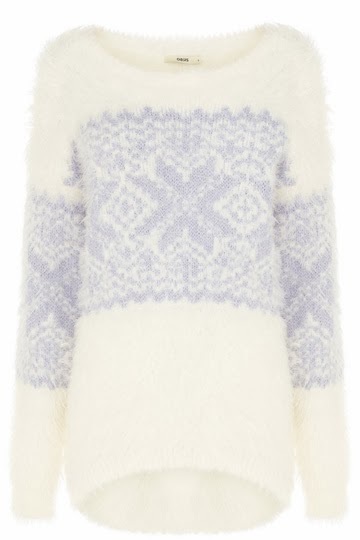 Love the colour, love that it's almost tasteful, LOVE the snow. It's £27.99. Require bling? 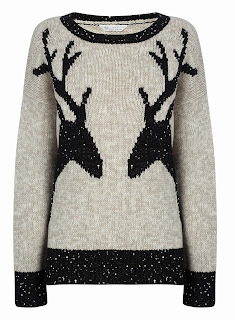 For £55, step this way and investigate Topshop's crystal reindeer effort. If you want something slightly more low-key (using the term loosely, it is CHRISTMAS after all), try the sequinned Christmas wrapping jumper instead (£50). 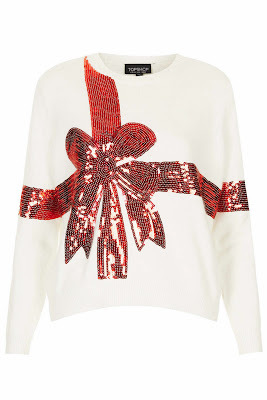 It's also available in tall for the oddly lower price of £48, and when I checked on Monday, it was in the Oxford Street branch. Don't want animals or anything ostensibly Christmassy? 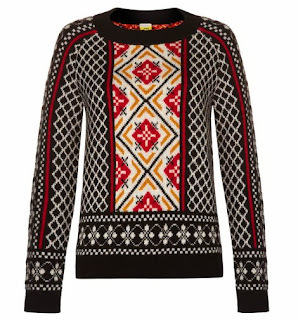 GO FOR PATTERN! 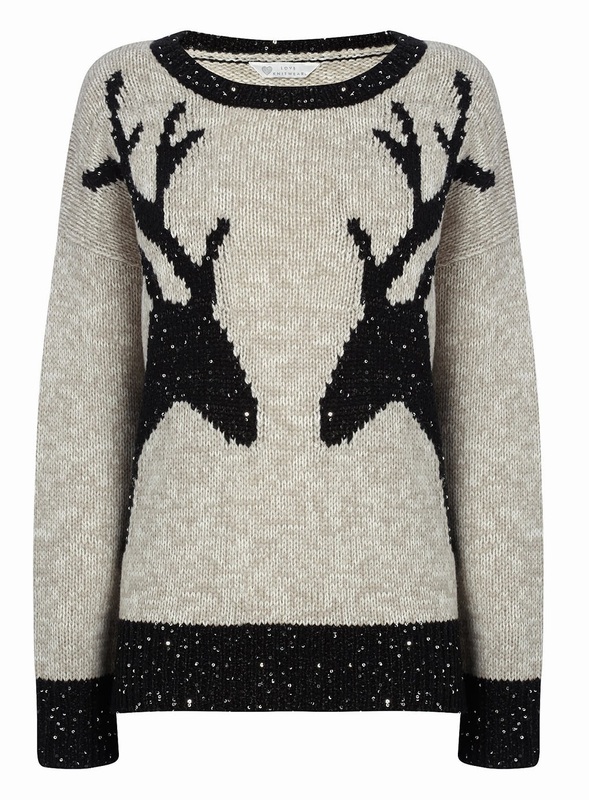 This Helen sweater from Hobbs is £59, down from £89 in the sale. If you'd rather have a snuggly jumper that you can wear all winter, try Oasis's fluffy fair isle knit. 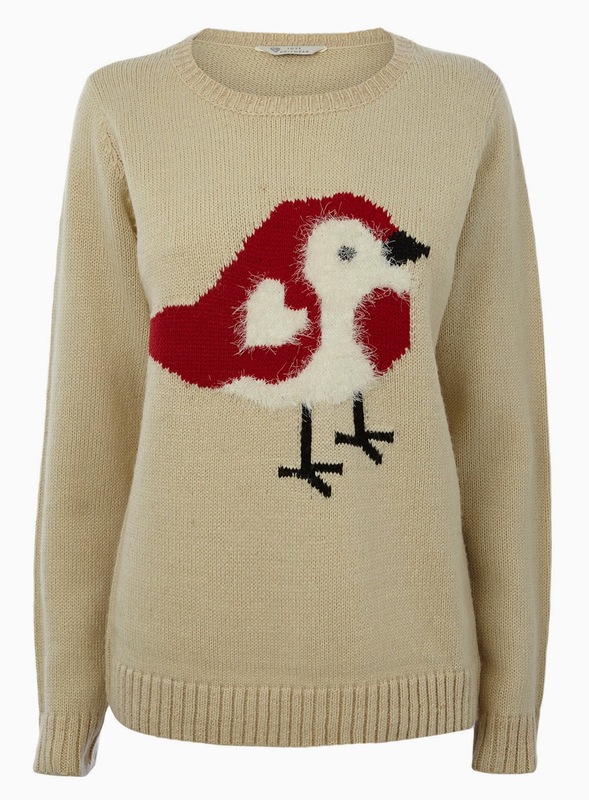 It's £50. 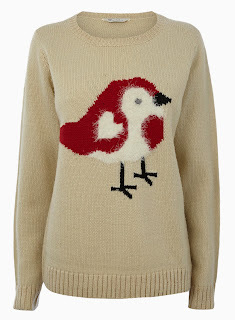 To take part in Christmas Jumper Day, just text WOOLLY to 70050 and you'll have donated £1. The reply is adorable: "[...] It'll help save children's lives. That's woolly wonderful!" I think the Hobbs one is the only one that isn't mostly acrylic. 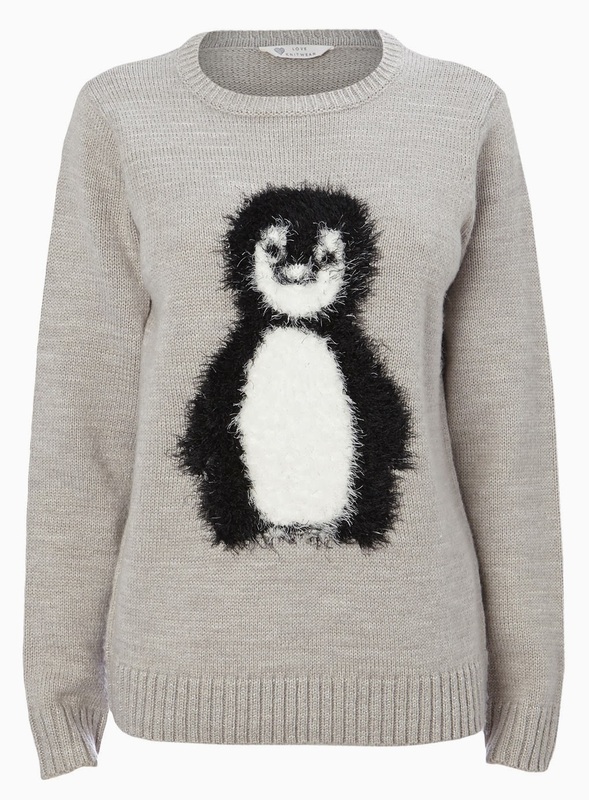 I'd love a novelty jumper but I just canNOT with acrylic. Yep, I just went with cheap ones - if you want a really proper one, you need to start looking at Gant and J Crew. Such a great display of christmas collection. 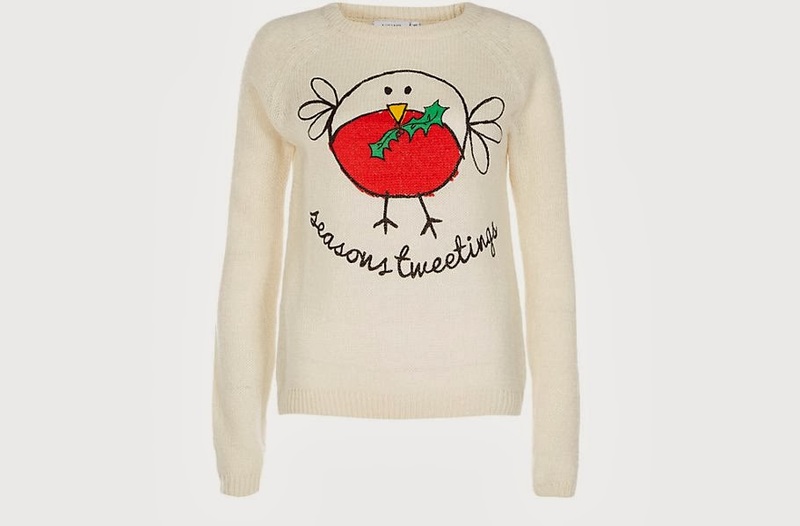 Every design is unique and somewhere all the designs reflect the christmas theme. Great choices of colors and patterns are shown. I really like these design and i would really want to gift one these items to my friend. Novelty Christmas jumpers are loved in every age groups. It is now believed to be a compulsion to wear in christmas.